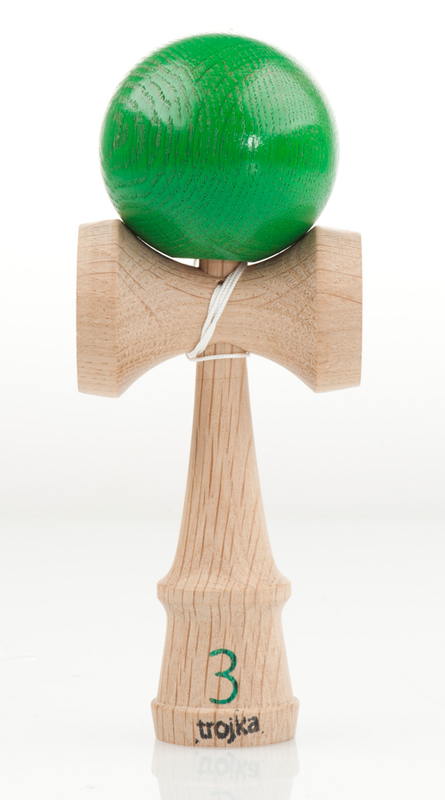 Trojka Oak kendama is other. We made something that is unimaginable. We have completely redesigned the cups. Our cups aren’t the classic u-cut shape but v-cut shaped. Shredora ball looks pretty, and sticks just right, the more you play it the more sticky it is. The whole kendama body is completely re-sanded and smoothed. We have carefully assembled each ken with the right tama, maximal difference between weight of ken and tama is 5 g. Trojka Oak is designed for those who already played some kendamas and are not afraid to experiment. Kendama is stringed for left handed player.